Best Motorcycles Under 50,000 The Indian motorcycle market is growing with each passing day, and with that, all the major manufacturers are coming up with new products in the market to meet the requirements of customers from different segments. Today, we are going to discuss about the best bike under 50000 mark. 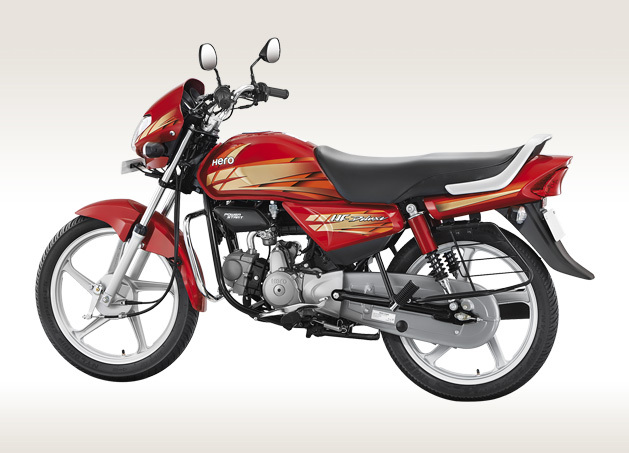 The next one in the list is the famous HF Deluxe from our very own auto manufacturer Hero MotoCorp. The Hero HF Deluxe is the most affordable bike sold by the Indian motorcycle giant. However, the low price does not mean that it comes with only limited amount of features. Even though it is the cheapest Hero bike one can buy, the HF Deluxe guarantees comfort and gets electric start and alloy wheels added to it as optional features. Powered by a 97.2 cc four-stroke single-cylinder, air-cooled OHC engine, the motorcycle produces a maximum power of 7.70 bhp at 7,500 rpm and a peak torque of 8 Nm at 4,500 rpm. It comes with an ARAI-certified fuel mileage figure of 83 kmpl, while the top speed touched by the HF Deluxe stands at 85 kmph. The bike is available in various trendy colours that include Candy Blazing Red, Black with Purple, Boon Silver Metallic, Classy Maroon Metallic and Black with Red. Priced at a starting amount of Rs 42,832 Ex-showroom, Delhi, the Hero HF Deluxe competes with the likes of Honda CD 110 Dream, Mahindra Centuro, Hero Splendor Plus, Suzuki Hayate EP, TVS Star City Plus and Bajaj Platina 100 ComforTec. This is hero bike under 50000. Here we have another contender from the house of TVS, the TVS Sport. Although it is one of the entry-level bikes from the Indian automaker, the TVS Sport, as the name suggests, comes with a sporty appearance. Its front fascia looks quite sporty and it further complements the overall look of the motorcycle. Sold in two versions, electric start and kick start, the TVS Sport is powered by a 109cc single cylinder petrol engine that churns out a maximum power of 7.40 bhp at 7,500 rpm while producing a peak torque of 7.50 Nm at 5,000 rpm. The braking system of the bike is taken care of by drum brakes at both front and rear ends. The fuel mileage figure claimed by the company is 95 kmpl. Available for sale at a starting amount of Rs 39,963, Ex-showroom, Delhi, the TVS Sport is sold in several colours such as Indigo Streak, Emerald Green, Team Blue, Mercury Grey, Blaze Red, Volcano Red, Dazzling White and Electric Green. In its segment, the bike locks horns with the likes of Hero MotoCorp Splendor and Bajaj CT 100. This is one of cheapest best bike under 50000. Talking about the best motorcycles under the 50000 mark, there is no way that we could miss out the famous Bajaj CT 100. 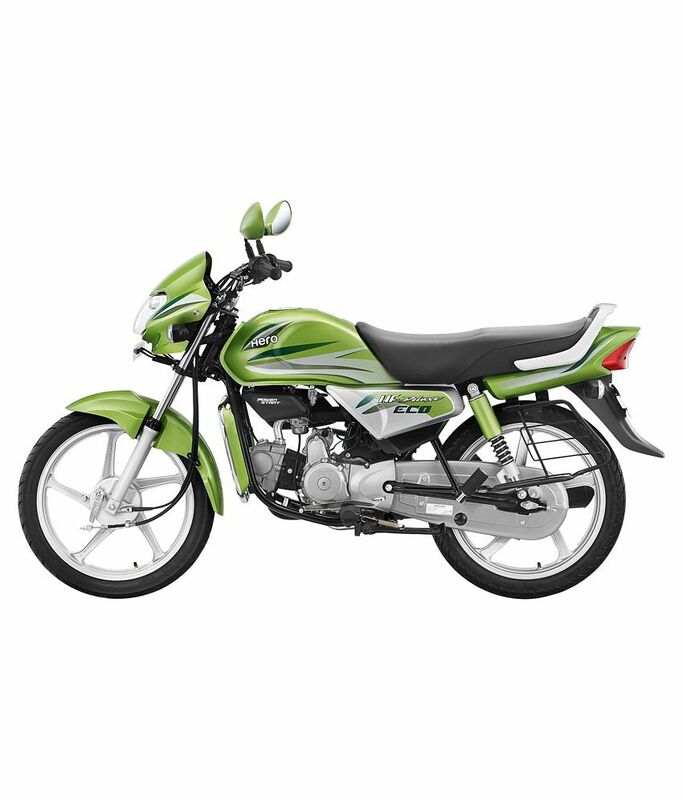 The Bajaj CT 100 is the most affordable motorcycle in the country that makes it one of the best choices for the customers who are looking to buy a cheap commuter bike that will solve the purpose of their daily commute. Mostly used in tier-2 and tier-3 cities, the Bajaj CT 100 is powered by a 99.3cc single-cylinder engine that develops a maximum power of 8.10 bhp at 7,500 rpm and a peak torque of 8.05 Nm at 4,500 rpm. It reaches a top speed of 90 kmph which is pretty good for daily commute on Indian roads. The ARAI-approved fuel mileage figure stands at 89 kmpl. The Bajaj CT 100 is aimed to meet the need of the mass number of people in the country who wish to have a motorcycle at a very affordable price. The bike is sold at a starting amount of Rs 34,099, Ex-showroom, Delhi, and it is available in four colours such as Ebony Black (Blue Decals), Ebony Black (Red Decals), Electron Blue and Flame Red. In the entry-level commuter segment, the CT 100 rivals with the likes of Bajaj Platina ComforTec, TVS Sport, and Hero HF Deluxe. When all the major motorcycle makers have their warriors in this category, how could Japanese auto giant Yamaha stand behind? To match steps with its competitors, Yamaha has its popular Saluto RX in the list. The overall appearance of the bike is complemented by its bikini fairing and the curvy headlamp unit. The Yamaha Saluto RX is placed in the executive commuter segment where it locks horns with the likes of Hero Splendor iSmart 110, Mahindra Centuro, Honda CD 110 Dream and TVS Victor. It comes equipped with a 110cc single-cylinder air-cooled engine that produces 7 bhp of maximum power at 7,000 rpm while dishing out a peak torque of 8.50 Nm at 4,500 rpm. Equipped with BlueCore technology, the motor is capable of delivering a fuel economy of 82 kmpl and the bike is capable of reaching a top speed of 90 kmph. Available for sale in various trendy colours such as Matte Black, Breezy Blue, Gleaming Black, Inspiring Red and Dark night, the Yamaha Saluto RX is yamaha bike under 50000 priced a starting amount of Rs 48,021, Ex-showroom, Delhi. Speaking about the best motorcycles this is honda bike under 50000, the entry-level product from Japanese automaker Honda, the Honda CD 110 Dream is definitely worth mentioning. The manufacturer already has a huge portfolio of products sold in India. The company manufactures products like Honda Dream Yuga and the Honda Dream Neo for the commuter segment customers. With the addition of the CD 110 Dream, the commuter segment portfolio of Honda has just got stronger. The Honda CD 110 Dream comes equipped with a 110cc single-cylinder engine at its heart that dishes out a maximum power of 8.31 bhp at 7,500 rpm and a peak torque of 9.09 Nm at 5,000 rpm. The top speed of the bike limits at 86 kmph while the fuel mileage figure given is 65 kmpl. The bike is available in various colours that include Black with Grey Graphics, Black with Blue Graphics, Black with Green Graphics and Black with Red Graphics. Priced at a starting amount of Rs 44,525, Ex-showroom, Delhi, the Honda CD 110 Dream competes with the likes of Mahindra Centuro, Hero Splendor Plus, Suzuki Hayate EP, Hero HF Deluxe, Bajaj Platina 100 ComforTec and TVS Star City Plus. Another warrior from the house of Indian auto marque Hero MotoCorp which is worth mentioning in this list of bikes is the Hero HF Deluxe Eco. 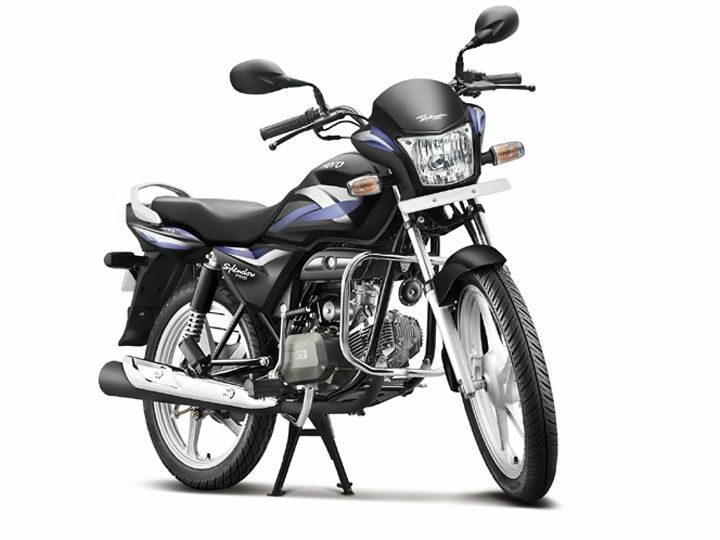 As the name suggests, the Hero HF Deluxe Eco is the more efficient version of the standard Hero HF Deluxe bike, which has been mentioned above. As per the claims of the manufacturer, the bike comes with better fuel mileage figure that makes it a better choice for everyday riding. Apart from this, the HF Deluxe Eco also gets some new features that include electric start, body graphics, etc. The bike comes fitted with the same 97.2 cc, single-cylinder, air-cooled, four-stroke motors that is fitted at the heart of the standard HF Deluxe. It produces a maximum power of 8.10 bhp at 8,000 rpm and a peak torque of 8.05 Nm at 5,000 rpm. The top speed is limited at 87 kmph. For braking duties, the company has employed 130 mm drums at the front while the rear braking is taken care of by a 110mm drum brake. Available for sale at a starting amount of 44,834, Ex-showroom, Delhi, the Hero HF Deluxe Eco is sold in only one colour namely Leaf Green. 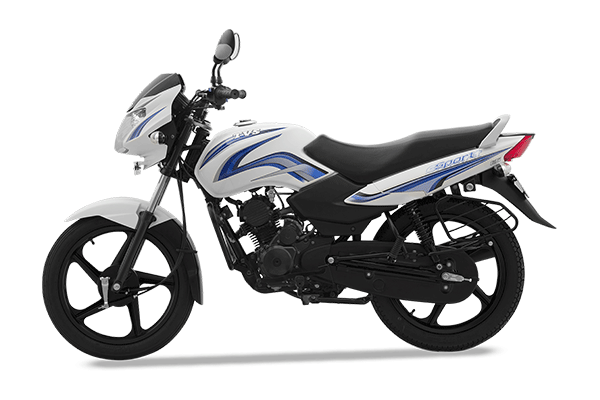 Talking about the best bikes under the Rs 50000 mark, we have here is the Famous Bajaj Platina 100 ComforTec. The bike is very robust and has been tried and tested for even the harshest road conditions, that makes it a very good choice for riding on Indian roads. The bike comes equipped with a 102cc single cylinder, 2-valve, DTS-I with ExhausTEC engine that is capable of dishing out a maximum power of 8.10 bhp at 7,500 rpm while churning out a peak torque of 8.60 Nm at 5,000 rpm. The top speed achieved by the Bajaj Platina 100 ComforTec stands at 90 kmph, which is quite good for daily city riding. On the other hand, the motor helps the bike produce a fuel mileage figure of 90 kmpl. The bike appears to be quite edgy and sports various noteworthy features to hold any bike lover’s attention. The sharp looking headlamp at the front makes it look attractive. 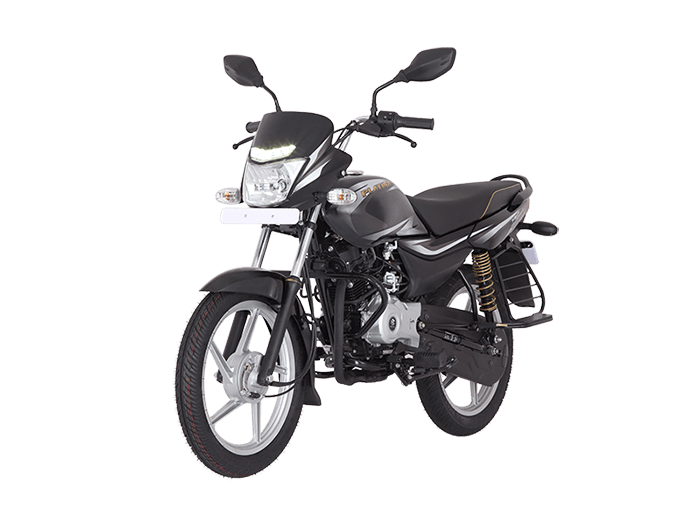 Available in two colours – Red and Black, the Bajaj Platina 100 ComforTec is priced at a starting amount of Rs 47,155, Ex-showroom, Delhi this is bajaj bike under 50000. The entry-level commuter segment, the Bajaj Platina 100 ComforTec competes with the likes of Hero HF Deluxe, Honda CD 110 Dream, Mahindra Centuro, Hero Splendor Plus, Suzuki Hayate EP and TVS Star City Plus. Another homegrown automaker TVS Motor Company is very popular for its various ranges of motorcycles sold in India. The company has a product for every segment that helps the prospective buyers in making buying decisions based on their budget and requirements. Here, we will talk about the TVS Star City Plus, which is one of the entry-level bikes manufactured by the company. It was first showcased back in the year 2014, and since then, the Star City Plus has been one of the best products to buy under Rs 50,000. The bike comes powered by a 'Ecothrust' 110cc DLI engine that develops a maximum power of 8.30 bhp at 7,000 rpm and a peak torque of 8.70 Nm at 5,000 rpm. Top speed achieved by this TVS motorcycle stands at 90 kmph while the ARAI-claimed fuel economy given by the bike is 86 kmpl. The TVS Star City Plus is available with several paint options that include Chocolate Gold, White Gold, Black Gold, Black Silver, Black Blue, Matte Grey, Titanium Grey, Oscar Black, Show-Stopper Blue, Celebrity Scarlett and Black Red. The bike is sold with a price tag of Rs 45,991, Ex-showroom, Delhi, as a starting amount. In the segment, it rivals with the likes of Honda CD 110 Dream, Mahindra Centuro, Hero Splendor Plus, Suzuki Hayate EP, Hero HF Deluxe and Bajaj Platina 100 ComforTec. It is one of 'best bike under 50000'. Another very popular product from the house of Indian auto giant Hero MotoCorp has made its place in this list, and it is the Hero Splendor Pro. The Hero Splendor range was originally introduced in the country back in the year 1994, and that makes it one of the most veteran players in the commuter segment of the Indian motorcycle industry. The popularity of this bike has only increased over the years, and even today, it is one of the most selling bikes in India doing great sales numbers each year. At the heart of it, the Hero Splendor Pro comes fitted with a 97cc air-cooled four-stroke single cylinder engine that produces a maximum power of 8.20 bhp at 8,000 rpm and develops a peak torque of 8 Nm at 4,500 rpm. The top speed reached by the bike is 82 kmph while the highest fuel mileage figure churned out is 90 kmpl. The bike is sold with various trendy paint schemes that include Black Purple, Black with Red, Heavy Grey, Shield Gold, Cloud Silver, Candy Blazing Red, Palace Maroon and Black Monotone. Competing with the likes of TVS Sport, Honda Shine and Bajaj Platina in the commuter segment of the Indian motorcycle market, the Hero Splendor Pro is priced at a starting amount of Rs 48,305, Ex-showroom, Delhi. At last we have another contender from the house of Japanese auto giant Honda, the Honda Dream Neo. The Dream Neo is the cheapest Honda one can buy; however, it is as reliable as the other higher range bikes produced by the manufacturer. Being the basic product of the company, the Dream Neo comes powered by a 110cc engine that develops a maximum power of 8.25 bhp at 7,500 rpm while churning out a peak torque of 8.63 Nm at 5,500 rpm. Moreover, it comes with an ARAI-certified fuel mileage figure of 84 kmpl. Available with various trendy colour options such as Black with Blue Stripes, Black with Red Stripes, Geny Grey Metallic and Imperial Red Metallic, the Honda Dream Neo is priced at a starting amount of Price: Rs 49,602, Ex-showroom, Delhi. This is Honda bike below 50000 or "bike under 50000". This is the list of top 10 best bikes under 50000 in India.